Whether you’re heading to a family get-together or hosting a rowdy football party for a large group, these deviled prosciutto and eggs with sage are a soon-to-be fan favorite. 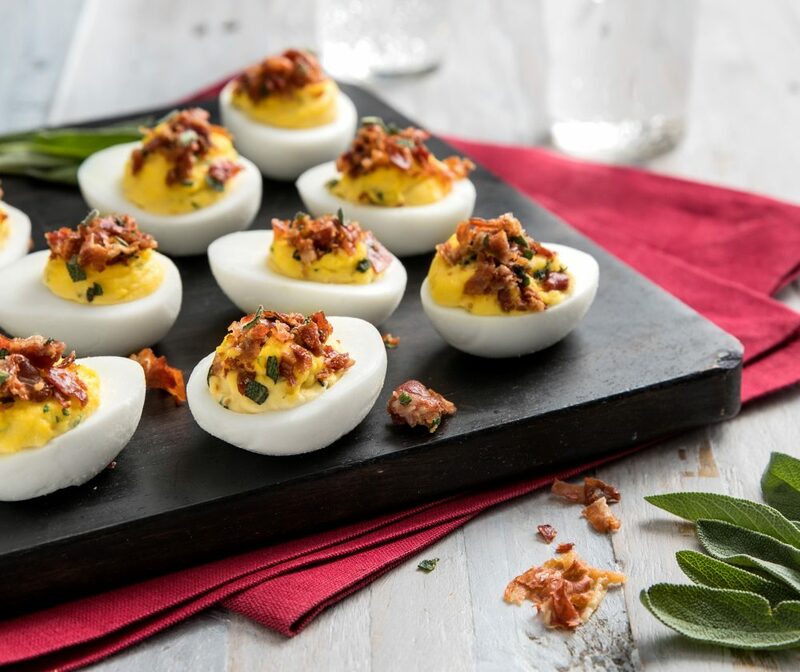 Crispy Prosciutto di Parma paired with tangy lemon zest gives your grandmother’s typical deviled eggs a run for their money. Not to mention they’re the perfect size to have the whole dozen to yourself without all the guilt (maybe not, but they’re that good). Serve these deviled prosciutto and eggs with a light wheat beer to complement the variety of flavors without overpowering them, or pair with a crisp white wine. Place eggs in pot and cover with cold water. Bring to boil. Remove from heat. Drain and cover with cold water. Let stand 11 minutes. Meanwhile, heat medium non-stick skillet over medium-high heat and cook prosciutto and sage until crispy; reserve. Drain eggs. Remove and discard shells. Cut eggs in half lengthwise. Arrange egg whites on serving dish. Mash egg yolks, mayonnaise, parsley, garlic, lemon juice and zest until blended. Fill centers of egg whites. Sprinkle with crispy prosciutto and sage.